Wayne, IL – June 10, 2014 – Lynn Jayne’s Our Day Farm of Elgin, was on a hometown winning streak this last week at the Showplace Production’s Spring Spectacular I Horse Show at Lamplight Equestrian Center in Wayne. Jayne and her horses took multiple championships throughout the week in divisions from the ponies to the national equitation. The combination of Jayne and professional rider Tammy Provost of Sheridan, IN, were a force to be reckoned with in the Pre-Green Hunter Division. Provost rode the young horse, Asscher, owned by Animal Eye Consultants to the Championship in the Pre-Green Hunters 3’, winning three out of the five classes. In the 3’3” Pre Green Hunters, Provost rode Beth Bailey’s GamePlan to the division Championship, won the $1,000 USEF Pre-Green Stake Class and also the $1,000 Pre-Green Classic making a clean sweep of the division. Another horse and rider from Our Day Farm was Stephen Martines of LaFox, IL, who rode Bitelli, owned by Animal Eye Consultants, to the Championship in the Amateur Adult 51 and over division. Clayton Martines won a Small Pony class on Clovercroft Show Me the Bunny. Keeping the blues in the family, Martines’ son, Clayton, won a Small Pony class on his Clovercroft Show Me the Bunny and also won the Children’s Pony Classic on Jumpin’ Jack Flash. Showing in her hometown was a definite plus for ten-year-old Natalie Jayne of Elgin, IL. Jayne was red hot on her grey pony Blueberry Hill, winning three firsts and two seconds for the Championship in the Small Pony Hunter Division. Jayne also won the $1,000 Pony Hunter Classic on Blueberry Hill, whose barn name in Whitney. Natalie Jayne and Blueberry Hill, Champion in the Small Pony Hunters. Not stopping there, the young Jayne also rode Land’s End Eros owned by Isabel Ryan to the Reserve Championship in the Small Pony Hunters. Natalie Jayne was Reserve Champion at the Devon Horse Show on Show Me Love. Moving on to the Medium Pony Hunters, Jayne again won two classes plus several other top ribbons on Scott Stewart’s Show Me Love to clinch the Championship in the Medium Pony Hunters. Jayne also took third in the classic with this pony whom she calls Cappy. Natalie Jayne just returned from the Devon Horse Show in Pennsylvania, one of the top horse shows in the country, where she won the Reserve Championship in the Medium Pony Division on Show Me Love, winning two classes. She is qualified for the USEF Pony Finals, which will take place in Lexington, KY in August. 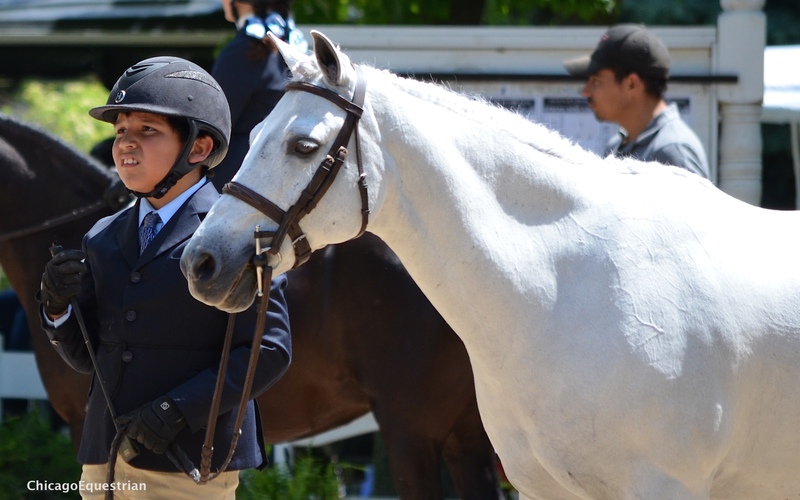 Adding their name to the list of winners, Hannah Bernstein also won a Medium Pony class and the Medium Pony Handy Hunter class on Trillville and a placed second on Barcelona. Bernstein was the Reserve Champion Medium Pony Hunter, right behind Jayne. 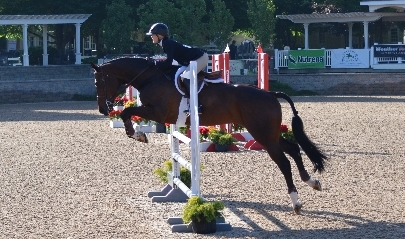 Bernstein was on a roll and won the Washington Pony Equitation and was second in the USEF Pony Equitation on Barcelona. With plenty of energy left, Jayne rode Canterbury Farm’s Hillcrest Songbird for the first time, winning four of the five classes for the Championship in the Large Pony Hunters. 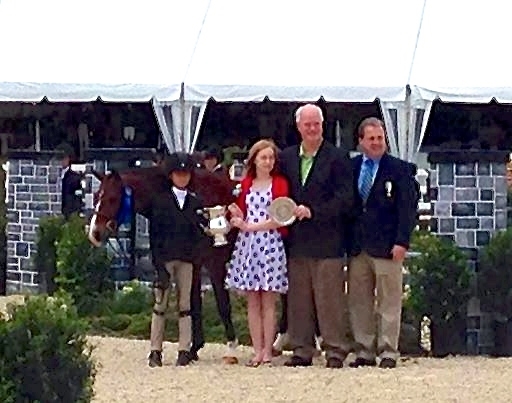 Caitlin Creel won the ASPCA Maclay Medal. More winners from Lynn Jayne’s Our Day Farm included Caitlin Creel of Kildeer, IL, who won the ASPCA Maclay Medal and was second in both the Washington Hunter and Jumper phase. Rider Olivia Lawton of Burr Ridge, IL, finished second in the USEF Medal and third in the Maclay. Both girls are now qualified for the Showplace Equitation Championships on Sunday, June 22nd at the Lamplight Equestrian Center, where riders will compete for the overall Equitation Championship. Olivia Lawton qualified for the Showplace Equitation Championship. 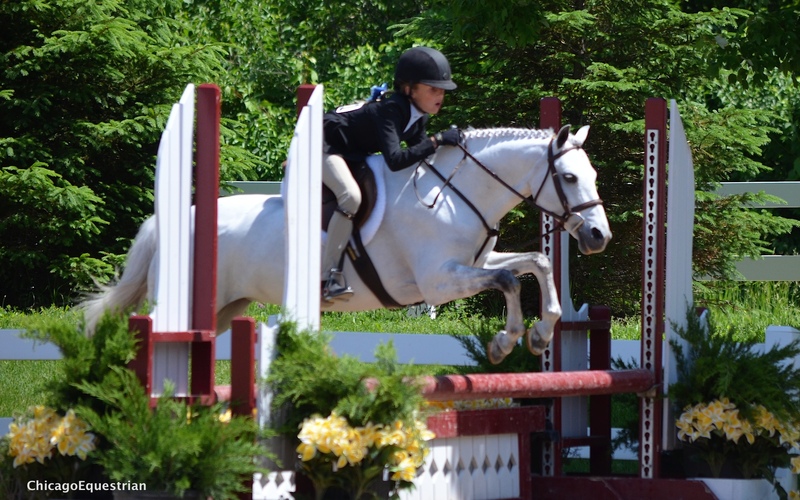 The competition continues at Lamplight Equestrian Center until June 22nd. Jayne and her customers will continue to show at both local and national horse shows during the summer. Jayne owns and manages Our Day Farm on Nestler Road in Elgin, IL and gives back to the industry by supporting and serving on some of the organizing boards. She is President of the United States Hunter Jumper Association (USHJA) Foundation, which provides aid for equestrians in need. Jayne is also a founding member of Chicago Equestrians for a Cause, which holds the prestigious Chicago Hunter Derby each year in Antioch, IL, benefiting the USHJA Foundation, University of Chicago Cancer Research Center and Ann & Robert H. Lurie Children’s Hospital of Chicago. In addition, Jayne also serves on the Board of Directors of the United States Hunter Jumper Association (USHJA) and is a part of the National Hunter Committee.